Taking the inter-breed and female cattle championship was Charolais heifer Olrig Minny, which then went up against the show’s champion donkey, horse, pig, sheep, goat and poultry to take the ‘champion of champions’ title. Hannah graduated form Harper Adams with a degree in Agriculture and started a career in cattle genetics with Genus Breeding. The December 2016-born heifer by Blelack Blackberet, owned by Andrew Morris, Castleton was reserve senior female champion at the Stars of the Future calf show at Stirling in 2017. 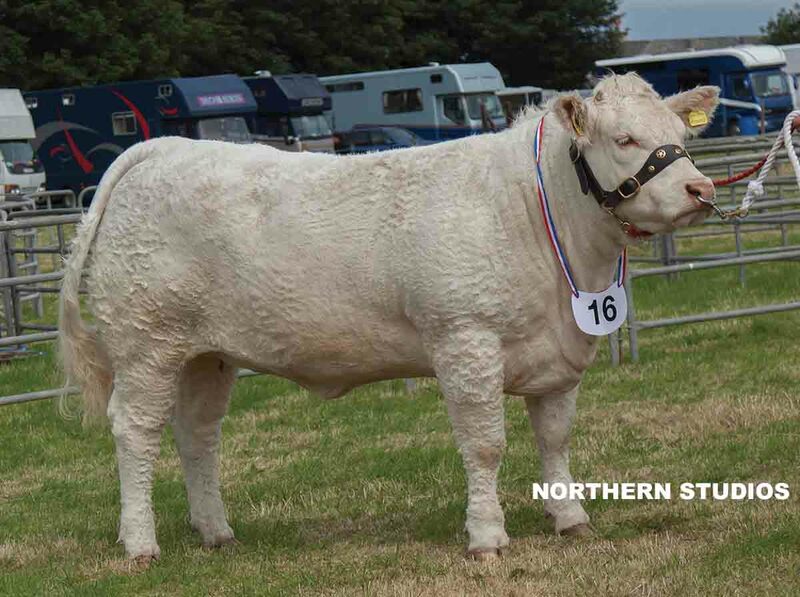 Its dam, Blelack Ginny, was bought at the Blelack dispersal sale in 2015 for 4,600gns to join the 12-strong pedigree Charolais herd which runs alongside Mr Morris’s 100 commercial cattle. In reserve overall and reserve female champion was a Beef Shorthorn, in-calf heifer Todholes Daisy Kirsty, owned by Ian Campbell, Thurso. The March 2016-born, homebred heifer by Lowther Godwin is out of Ballylinney Daisy, a female bought into the herd from Carlisle in 2015. Mr Campbell’s 14 pedigree Beef Shorthorn cattle run alongside the herd of 60 commercial cattle. Taking the male championship was the commercial male champion, a January 20180-born steer, from Kris Sutherland, Dunbeath. The British Blue steer by Tweeddale Guiness is out of a pedigree Limousin cow, which is one of 100 suckler cows in Mr Sutherland’s commercial herd. The reserve male champion was 13-month-old Highland bull, Donald Rhuadh of Aviedale from Sheila Gillon, who runs a small herd of Highlanders near Watten. The bull, by AI-sire Angus 8 of Dunvegan out of Lucy of Lagg, will sell at the bull sales at Oban later this year and has already been used as a stock-bull within the herd. 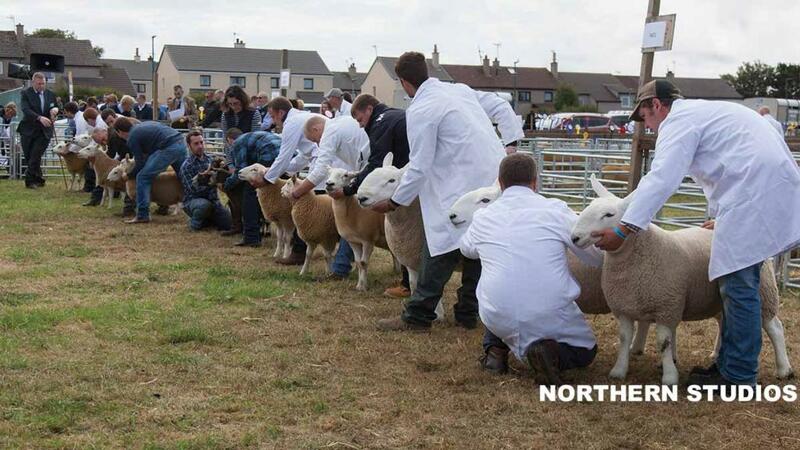 In the sheep rings, the North Country Cheviot champion took the inter-breed honours. The homebred two-crop ewe, Smerlie Chrissie from Andrew Polson, Lybster, is by Durran Rover and part of the 160-strong flock. 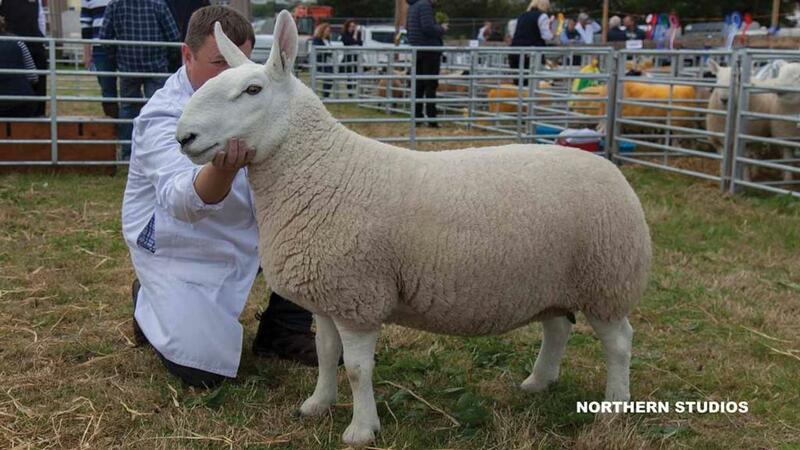 Fresh from taking the inter-breed title at Latheron, the ewe was also part of the champion inter-breed group of three with a two-shear ram and shearling ewe from the same home. In reserve was a two-shear Suffolk ram from Stephen and Kenneth Sutherland, Thurso whose family have been showing at Caithness for 70 years. The ram, bred by Alastair Warden of the Skelfhill flock of Suffolks and was bought from Kelso in 2017 for 3,400gns to join the Sutherland’s 60-strong, Sibmister flock as a stock ram. Inter-breed (Judge, A. MacPherson, Croy) Supreme and female, J. Morris, Olrig Minny (Charolais); reserve and reserve female, J. Campbell and Co., Todholes Daisy Kirsty (Beef Shorthorn). Aberdeen-Angus (A. MacPherson) Sup. R. Coghill, Dunn Proud Julius T001; res., R. Coghill, Dunn Proud Eugene T002. Beef Shorthorn (A. MacPherson) Sup., J. Campbell and Co., Todholes Daisy Kirsty. Highland (A. MacPherson) Sup., S. Gillon, Lulu of Aviedale; res., S. Gillon, Donald Rhuadh of Aviedale. Any other pure native breed (A. MacPherson) Sup. and fem., D.A. and K. Douglas (Belted Galloway); res. and male., D.A. and K. Douglas (Belted Galloway). Charolais (A. MacPherson) Sup., J. Morris, Olrig Minny. Simmental (A. MacPherson) Sup. and fem., J. and J. Gunn, Mavsey Dancer; res. and res. fem., J. and J. Gunn, Mavsey Jazz Dancer; male., J. and J. Gunn, Mavsey Irish Pride. Commercial cattle (G. MacFadzean, Perth) Sup. and fem., G. Begg (British Blue cross); res. and res. fem., R. Mackay (Charolais cross); male, K. Sutherland (British Blue cross). Inter-breed (A. Hamilton, Lanark) Sup., A. Polson (North Country Cheviot); res., Messrs Sutherland (Suffolk). Border Leicester (J. Lamb, Ayr) Sup. and res., A. Miller and Sons. Suffolk (Y. Spence, Skye of Curr) Sup., Messrs Sutherland; res., A. Brims. Half Bred (J. Lamb) Sup., Messrs D. Miller; res., A. Miller and Sons. Prime Lambs (R. Henderson, Banff) Sup., J. Campbell and Co.; res., J. Morris. North Country Cheviot (I. MacLeay, Thurso) Sup. and fem., A. Polson; res. and res. fem., D. N. Campbell and Sons; male, D.N. Campbell and sons; res. male, A. Gunn. Cheviot Hill Sheep (G. Macleod, Bonar Bridge) Sup., Castle of Mey Trust; res., W. M. Sutherland. Scottish Blackface (R. Baynes, Croy) Sup. and res., S. Sutherland. Any other native pure breed (R. Baynes) Sup. and res., M. MacDonald (South Country Cheviot). Lleyn (R. Baynes) Sup. and res., J. Campbell and Co.
Commercial sheep (K. Hourston, Orkney) Sup., W. Barnetson and Sons; res., Messrs Sutherland. Cross sheep (R. Henderson) Sup., W. Barnetson and Sons; res., Messrs Sutherland. Texel MV accredited (R. Blackhall, Banchory) Sup. and fem., A. and A. Gunn; res. and male, A. and A Gunn; res. male, Messrs Sutherland; res. fem., Messrs Sutherland. Texel non-MV accredited (R. Peterkin, Beauly) Sup., J. Coghill; res., E. Simpson. Any other continental breed (Y. Spence) Sup., D. Spence; res., A. and A. Gunn.